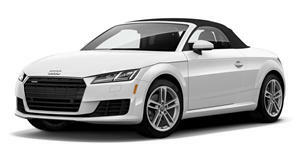 Though the Audi TT may be traditionally known best as a coupe, the Roadster is perhaps the body style that it wears best. Powered by a 2.0-liter turbocharged 4 cylinder engine generating 220hp and 258 lb-ft, power is sent to all wheels via quattro all-wheel drive. There’s unfortunately no manual transmission available; shifts instead being handled by a 6-speed dual-clutch automatic gearbox. The available S line Competition package includes 19-inch alloys, S line sport suspension, red brake calipers, and S sport seats. Safety features include ABS with EBD, and stability control. 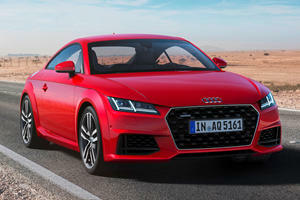 Is The Audi TT About To Get Axed? The future isn’t looking bright for Audi’s beloved sports car. 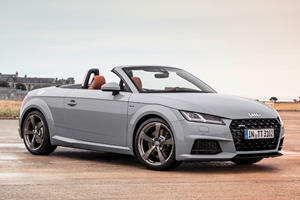 Audi's funky coupe and roadster are two decades old. 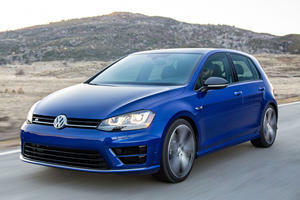 Look Out, Your VW Golf R Could Explode!